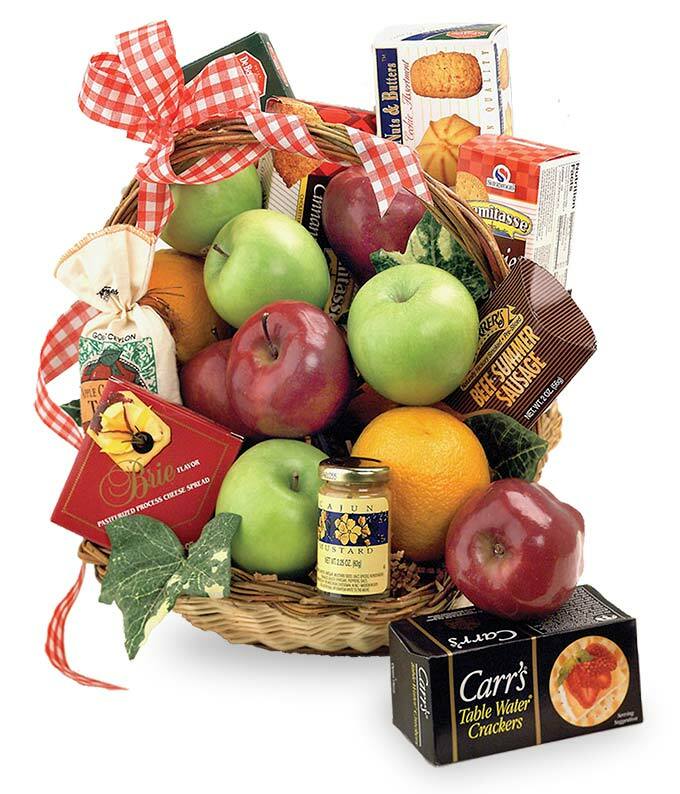 Express and demonstrate your feelings by sending the Fruit & Gourmet Basket to the recipient of your choice. A keepsake wicker basket proudly presents fresh fruits, savory sausages, cheeses, and crackers topped off with a decorative bow! Your recipient will love seeing this arrive to their doorstep, office or elsewhere. Surprise them today! Please note: contents may vary.